KQ MiniSynth is a powerful polyphonic modular synthesizer. This app lets you create tones with module patching. You can add/remove up to 100 modules freely as you want. Of course it depends on your device's ability. Modular system is also good for education use. You can learn the role of various modules while patching those. The Patch-Editing view supports zooming. You can connect modules with taps easily. External and Virtual MIDI is Supported. MIDI over Bluetooth LE is Supported (Act as a Central device). Includes an Audio Unit Extension (AUv3 Instrument). Q: The output sounds too quiet. A: Expression value(Ctrl #11) may be too small. Try to Tap "RESET" on I/O Panel. When it is not improved, try to change an option "Boost Velocities". Q: The velocities seem to be ignored on Audio Unit. Q. I want to customize the software keyboard. A. A gear appears when you drag the upper part of the keyboard. Try to tap it with another finger. This app implements the follow modules. If you feel it sounds noisy, slow or stuttering, try to decrease polyphony, increase buffer size and reduce connected modules. Ableton Link is a new technology that synchronizes beat, phase and tempo of Ableton Live and Link-enabled iOS apps over a wireless network. Fixed a crash bug on iOS 8.x. Excellent flexibility...design your own AU synths! I’ve bought quite a few iOS synths...in a short time ;) this one might require a bit more study and effort but you can do sooooo much with it. FM and analogue! A mix of the two! I’m still learning but I’ve already created some great stuff by tweaking the presets and building from scratch isn’t that hard. Thanks Kira. Please keep adding to this! Very realistic analog sounding. You can learn all about wave forms and how modules effect one another, without having to buy an actual synth. I'm having fun with this synth. It's a fully modular synth model with the limits not on the amount of modules but on the device running it. I don't understand what all the modules, knobs and inputs do but I am sure I can find enough info on modules and patching online to figure it all out as it seems to be pretty close to what is in use in analog set ups. 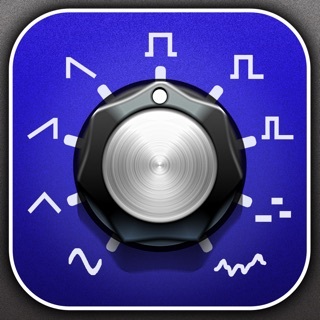 The interface is very logical, easy to use and move around on, much better than other modular synth models on iOS. I like the rack mount style too because it gives a basic reference for how everything gets connected. The sound is very decent for playing around on and experimenting. The graphics could be slicker, but I kind of like that 90s raw software look to it. If the interface functions as smoothly as this does then looks really don't matter. Better this than the other way around. Congratulation to the dev for a nicely thought out app.